In 1950, Timothy Evans was hanged for the murder of his baby daughter Geraldine. The police also believed that he had killed his wife Beryl. But to his final moments Evans protested his innocence. 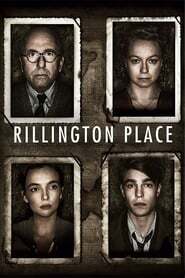 Three years later, a gruesome discovery at 10 Rillington Place revealed that his neighbour - star prosecution witness John Reginald Christie knew much more about the sinister goings on in the house. Set in the dark confines of Christie's home, this powerful drama imagines the relationships between Christie, his wife Ethel and the innocent young Evans couple. What twisted influence did Christie hold over the young newly-weds Timothy and Beryl? And how was he able to trick both judge and jury into sending an innocent man to the executioner?